Building muscle is a balance between strategic strength training and an eating plan that includes proper protein and healthy carbohydrates while limiting refined sugars, processed food, and artificial ingredients. 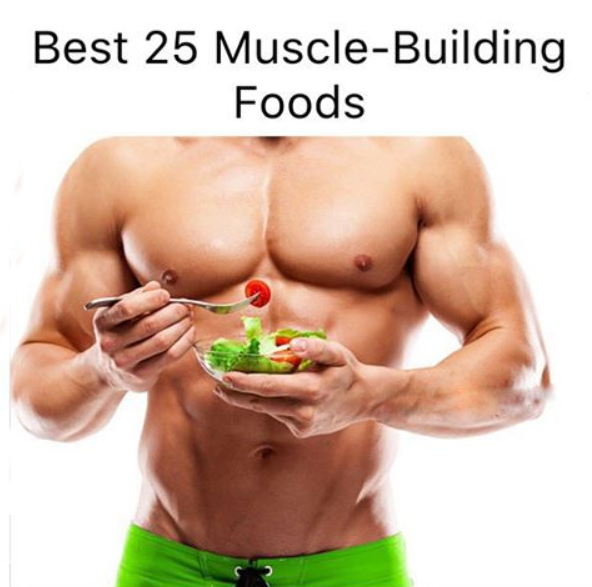 This doesn’t mean that you have to settle for the same salmon and kale for lunch and a dry chicken breast for dinner.Here is a compilation of 25 muscle-building foods that can add variety to your diet and help you sculpt those muscles into flex-worthy shape. 25.Oysters: Another seafood pick that offers the mineral zinc, oysters are rich in protein and help replenish muscles broken down from training. Don’t let your meals become boring – add some of these foods for a good variety and watch those muscles grow!